You are an important member of the health care team. You can make a difference when it comes to keeping you and your loved ones safe. You can reduce the chance for safety errors while you’re in the hospital. Below, we’ll show you how to be informed, alert, organized and aware. Bring all the medicines you are currently taking so that your health care team can review them. Don’t forget over-the-counter medications, dietary supplements and herbal remedies. Make sure your care team knows about any allergies to medications. Bring a family member or friend to the hospital with you. This way, even when you are not feeling well, this person can be alert, ask questions, provide important information, and step in if there are any problems. Know what the medicines given to you in the hospital look and taste like. If anything is different when your nurse brings them to you, ask why. Know what conditions your medicines treat. It is helpful to know both the clinical and common name for your condition(s). Some discomfort can be expected, but it is important to let someone know about an unexpected response to medication, which could help flag a potential problem or error in your care. Make sure your care team checks your hospital wristband before giving you medication. Share your medication list with a friend or family member every time it changes. Make sure the list is dated, as your list of medications may change often. Remember that some of the same drugs have different names, while some drugs have similar names but are different. Having a printed, legible list of your medications that includes generic and brand names is helpful in sorting this out. Ask the health care team about each aspect of your child’s care. Knowing what is expected can help you provide an extra pair of eyes and ears. Respect all safety signs and messages. Behaviors such as washing your hands, making sure a security door is shut, or not allowing children to run down the halls, can help protect patients from harm. Share concerns and remain an active participant in the health care team. There are effective ways to show concern and participate while not disrupting care processes. Inviting the staff to engage you as a partner is a good first step. Ask that sleep medicines be given to your child at the hospital so the care team can observe how your child might react to these medications. Build a relationship with the health care team by learning about their qualifications and asking them about their experience. This should ideally make you feel informed and comfortable with their ability to perform the surgery. Ask the surgeon to “sign the site” of the part of the body to be operated on while you are with your child. The only mark should be on the part to be operated on. Ask to stay with your child until he or she falls asleep. Wear non-slip socks or footwear that fit well. Lower the bed height and side rails. Talk to your health care team if your medicine makes you feel unsteady or dizzy. If you are sleepy, light-headed, sluggish or confused, ask about getting a different medication so you feel more like yourself. Explain early on that you are there to help your family member and are part of the team caring for them. Be present for rounds, shift changes and any major conferences with the care team. If you are not invited, ask when these events are likely to happen. Hospital schedules aren’t perfect, but team members may be able to coordinate schedules if you communicate with them. Take notes for you and for your family member. When the patient is recovering from surgery, request that you or another trusted family member stay overnight. Arrange with other loved ones to tag team staying with the patient. If you are exhausted, you will not be as helpful as another, well-rested family member. Let the care team know who will be there in your place, especially if the person is staying overnight. Visit the hospital library to get accurate, reliable information on the patient’s condition. A librarian can help point you to respected websites for disease and treatment information, and provide you with reading materials you might not be able to get online. Your public library can help with this too. Be prepared. Before your visit, think about and write down any questions you may have. Ask what happened. Dig deeper to get an understanding of what really went wrong and why. Ask what the doctors, nurses, and hospital are doing to keep the error from happening again. If you are able, ask to participate in the investigation of the incident, and work with the team that develops solutions to keep it from happening again. Expect an honest apology and if you can, accept it. Seek support together. Medically Induced Trauma Support Services (MITSS) is an organization founded to assist in healing the relationship between clinicians and patients who have experienced an error together. MITSS also provides insights to the public to prevent similar errors from happening. What is a patient advocate and why should I have one? When you are a patient, you’re not on top of your game. It is a good idea to have a designated person who can help you manage your care. 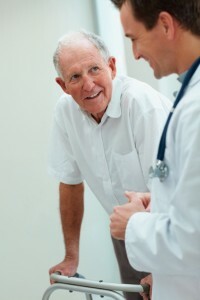 A patient or health care advocate watches out for you while you are in the hospital. This allows you to focus on recovering and reduces the stress felt by your family members, allowing them to offer their full support. Talk to your doctor to see if your hospital has a patient advocate.